We will within 48 hours confirm this order and issue you with a collections number which you will need to quote when collecting. Our returns policy only applies to products purchased from us. In addition to your 14 day returns guarantee (excluding dairy products), customers in the European Union are entitled to a statutory cooling-off period of seven business days. Our 14 day returns guarantee means that if for any reason you are unhappy with your purchase, you can return it to us in its original unopened condition within 14 days of the date you received the item, unopened (with any seals and shrink-wrap intact) and we will issue a full refund for the price you paid for the item. We can only accept the return of opened items if they are faulty. In the event of Wickham Wines sending you a replacement for a damaged, defective or wrong item, you must return the item to Wickham Wines within 14 days. 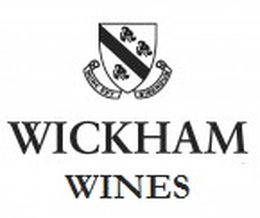 Wickham Wines reserves the right to charge the price of the replacement item to the payment card used for the original order if you do not return the original item to us within 14 days of the date on which Wickham Wines confirms we will issue a replacement. enable our website to recognise you each time you come back and visit our website. Click "tools","internet options","privacy" then selecting "block all cookies"
Once this setting has been changed it will apply to all website, until the setting is changed back or reset. Please note that your information will not be passed on to any third parties. All payments made through this website go through the secure payment service of Paypal (We do not store credit card details) then directly to Teffont Wines. No third party will have any access to your personal information. We use several alcohol approved carriers to deliver your goods. We aim to deliver our standard range goods within 3 to 5 days of purchase. We will notify customers who either per-order or order from our vintage range of goods a prospective delivery date that may be subject to change. during the check out process you will be informed of the delivery costs, regrettably due to the many different ways alcohol is delivered it is only possible to price delivery at the point of sale. You are however shown the costs before being asked to commit to buy any item. With regret we can no longer supply alcohol to any United States of America state or dependency. Under Consumer Contracts (Information, Cancellation and Additional Payments) Regulations 2013 you have the right to cancel your order within 15 days from date of receipt. Should you wish to return/cancel an order the order must be unopened and unused still in its original packaging. On your notification of a cancellation we will arrange an uplift of the goods and you agree to cooperate with this in allowing fair access to the ordered goods. Upon return of the ordered goods they will be checked and if found to be unopened and unused we will.refund the price of the order (and original delivery charges). we will process this refund (directly to the same method that was used to pay for the order only) within 14 calendar days of when we receive the returned item. In the event that the goods are opened, not in original packaging or used our customer service department will contact you to discuss options.